Sound in a video or movie is the "making it real" part of the puzzle. We think about the images and often those are what stick in our mind. But it is sound that brings it all to life. Imagine a beautiful landscape and the sound of birds. Sets you up for a good feeling. Now imagine the same landscape and the sound of approaching helicopters. Could be trouble coming. Same picture, different realities, thanks to sound. And creating a sound scape for video or film can be enormously satisfying. A long long time ago I was hired to do sound design for a USDA film, "Day of the Killer Tornados." I know, sounds like a joke. But this was a long time ago. And while a dramatic story was told about the Government's tornado early warning system, most of the images had no sound whatsoever, just narration and a few moments of dialogue. It was my job to find and sometimes create the missing sounds. As one of my first jobs as an editor, it was a great lesson for me in how sound can bring the story to life. 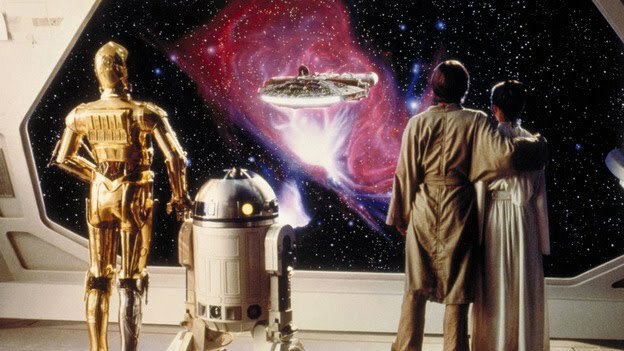 NPR recently ran a piece entitled the Sounds of Star Wars. It talks about sound effects and how they found signature sounds for those movies. 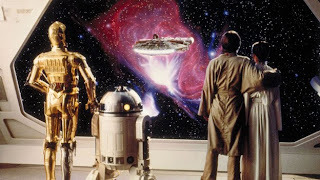 And created R2D2's memorable character in the process.